Mr. B. had injections around the lips to elevate the mouth corners and fill in the nasolabial folds. 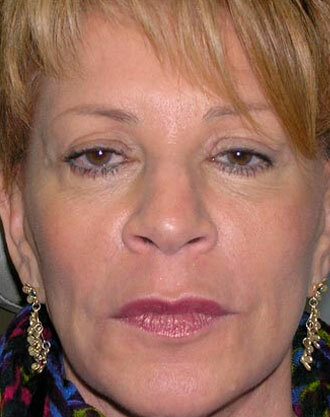 Botox injections to the forehead, frown lines, cheek, and crow’s feet produced a refreshed appearance. A left Botox brow lift gave greater eyebrow symmetry.